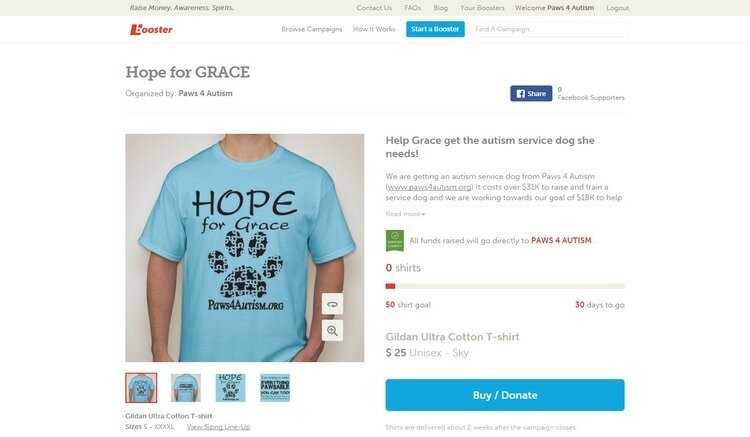 ​Grace Gilbert was diagnosed with Autism Spectrum in September of 2014. We knew that something was wrong before that because she had a developmental delay. She was always kind of shy and would not look you in the eyes from the age of 2. We had some testing done on her and she started receiving occupational, physical and speech therapy at the age of 4. She is a beautiful, intelligent, sweet energetic girl that does not interact with other kids very well, she would rather play alone than with others. Grace loves to dance and that has helped her overcome her anxiety a bit, but she is still working on that. Academically she is struggling as well she gets the answer but has to really try harder than other kids and is about 5 minutes behind the other kids when it comes to getting the answer. My wife and I are doing what we can to help her and we ourselves have a learned a good bit about Autism and are continuing to learn and help other people be aware as well. Click above image to order tshirts! !